What is the SiriusDecisions Demand Waterfall? 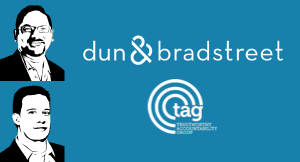 Josh Mueller, Senior Vice President of Global Marketing at Dun & Bradstreet, speaks with CXOTalk about how B2B companies can measure marketing success and use data to determine which activities yield the best results. 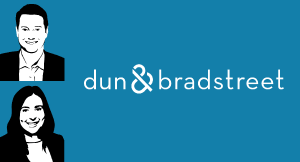 As SVP at Dun & Bradstreet, Mueller has global responsibility for demand generation, digital, operations, marketing technology, creative and content. His organization is pivotal to Dun & Bradstreet’s transformation to a modern company with a focus on providing an amazing customer experience and scaling demand generation. Michael Krigsman: I’m Michael Krigsman, an industry analyst and the host of CxOTalk. 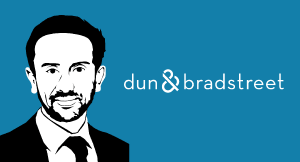 We’re speaking with Josh Mueller, who is the Senior Vice President of Global Marketing at Dun & Bradstreet. And, we’re talking about the Sirius Decisions Demand Waterfall. So Josh, tell us about the Sirius Decisions Demand Waterfall. Josh Mueller: The Sirius Decisions Demand Waterfall has been around for over a decade. And, essentially what it is is a framework that B2B companies can use to determine how well their marketing activities are working. I've targeted a million people; a hundred thousand of them engaged with me; ten thousand of them went to our sales team; five thousand of those became opportunities, and maybe I closed a thousand of those. And, you're able to track what's working at every stage so that you can have a better yield over time. Michael Krigsman: So, it gives you a greater precision in terms of understanding what’s happening with your marketing spend. Josh Mueller: That’s absolutely right. It’s a standard methodology that many of the biggest and best brands in the world adopted. Michael Krigsman: And maybe, this is an obvious question, but why should we use it? Josh Mueller: It allows you to see which marketing activities are actually yielding the results that you want. There's a lot of discipline in the system, there are a lot of definitions and best practices where you're able to see, "Okay. If I launched these campaigns against these personas, and with this much time that passes, what am I actually yielding from that … from that Close-Won perspective — not just an engagement perspective?” The pipeline doesn't pay the bills. Ultimately, Close Won revenue pays the bills. Michael Krigsman: Right now, marketing is all about data. So, how has it evolved to address what’s happening in marketing today? Josh Mueller: What it's done is it's taking the framework that was really historically marketing-focused and has expanded that to be marketing, sales, and product. And, it treats those as equal seats at the table that collectively create demand and ultimately, close that demand. The other thing I really like about the framework: it's gone from the concept of individual buyers (individual lead), to the concept of buying groups and buying committees within complex accounts. Michael Krigsman: It’s really interesting how the master data kind of underpins the collaboration elements of doing this type of marketing. Josh Mueller: Even if you have a list of accounts, and you know who you’re going after, you may have sales talking to one group, and marketing talking to another group, not even realizing 1) They’re part of the same company family, or 2) They’re even within the same company and you’re having different conversations. A clear master data strategy ensures that that doesn’t happen. Michael Krigsman: Would it be correct to say that it links master data to collaboration; to account-based marketing? Josh Mueller: It’s absolutely correct. I mean, the role of data has really changed the way the waterfall works. Michael Krigsman: So, you’re using the data, then, to build up, shall we say, a 3-D picture of who you should be talking with; who the team should be talking with. Josh Mueller: I mean, leveraging clean, integrated, organized data is what makes that possible. The complexity of accounts is often lost in an organization, and having that clear master data strategy ensures that you don’t do that. Michael Krigsman: What advice do you have for implementation? Josh Mueller: I think the first thing is to ensure that you really do have that alignment. It’s something that’s easy to talk about but really hard to do. I think the second piece is ensuring you do have a really clear data strategy. How are you using data and analytics to know who to go after and who within those accounts to go after? Start with a pilot; start with a test and learn approach. Maybe, it’s a particular product; maybe, it’s a particular line of business or persona. Get with your product teams and your sales teams. Agree on what you’re going to go after. Agree on the timeframe of the test. Be open to failing and failing forward and learning over time. And then, once you accomplish it for that one thing, you’ll build a lot of credibility, you’ll build a lot of success, and you can scale from there. Michael Krigsman: How does an organization know or measure themselves to know how they’re doing? Josh Mueller: What you’re able to do is clearly identify who your addressable market is, and then follow the steps of the waterfall all the way through the Close Won revenue. And that works for kind of a traditional lead waterfall as well as account-based marketing. So, if I know that I’m going to after these ten accounts within this persona, I can see the won revenue from all of those marketing activities. Michael Krigsman: So, much of this is really about the collaboration as much as the process itself. Josh Mueller: We now have a mechanism in place where we meet monthly with our product and sales leaders. We meet quarterly; we predict pipeline eighteen months out. We work backward from that, and it's really changed the way we go to market. Michael Krigsman: So, maybe we could even say that the process drives the collaboration that then must take place. Josh Mueller: One of my favorite things about it is when we make a decision; it's no longer in a silo. The decisions we make happen across the company. Michael Krigsman: Okay! Josh Mueller, thank you so much! Programmatic advertising is a crucial tool for digital marketers. However, ensuring that marketing channels are trustworthy and accountable, eliminating fraud or abuse, remains a challenge. In this short video, two top experts explain how to ensure your programmatic advertising are spent wisely. How is marketing and customer experience changing in an omnichannel world? Josh Mueller, Senior Vice President of Global Marketing at Dun and Bradstreet, and Rachel Richter, Senior Vice President of Customer Analytics and Insights at Dun and Bradstreet, tell CXOTalk about the “omnichannel customer experience,” which uses data and complex analytics to identify customers’ needs and optimize delivery. How can we use data to make better business decisions? In this episode, we address this question with Anthony Scriffignano, the Chief Data Scientist at Dun & Bradstreet.